When you find something you’ve been searching for and it surpasses your expectations, you share the good news. Am I right? Y’all, I stumbled into an old fashion stomping ground, and I found the spring pants I’ve been looking for. 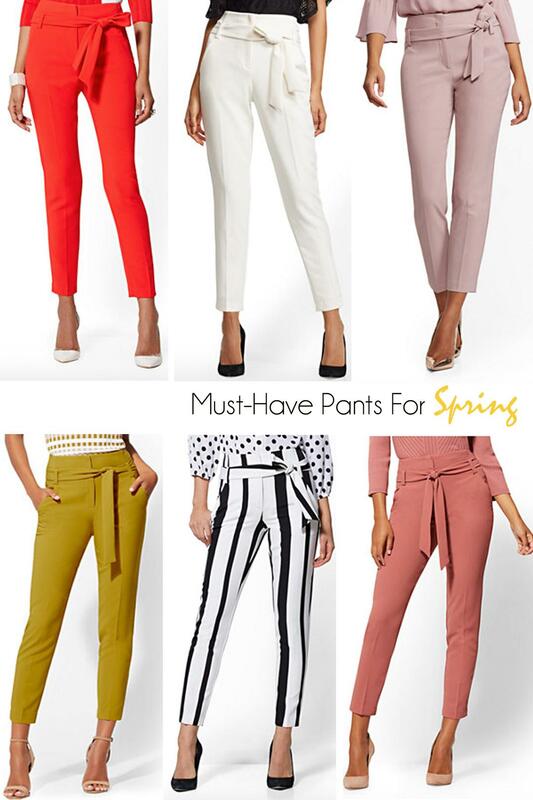 If you’ve been looking for the perfect pair of pants to complete your head-to-toe neutral ensembles or your color-blocked fits, these pants are for you. They’re comfortable, figure-flattering, and available in several colors and prints. There’s more too. They’re on sale right now! I purchased the pants in Bell Pepper Red, a beautiful orange hue that’ll surely hold down some of my upcoming color-blocked looks (see my most recent look here). Check my Instagram later today for a sneak peek of the pants. Use the online True Fit analysis on the retailer’s site (conveniently located near the dropdown size selector for the pants). It was on point for me. Size 6 fits me perfectly in these pants.